James' Plumbing & Heating is on the job. There’s never a good time for a plumbing, heating or cooling emergency. That’s why at James’ Plumbing & Heating, we’re here for you 7 days a week, 24 hours a day. From slab leaks to hydro jetting to tankless water heaters to radiant heating, we can give you the comfort you need at a price that doesn’t break the bank. For over 30 years, James’ Plumbing & Heating has been solving Santa Fe’s plumbing problems- and we’ve seen it all. We know that when you have a plumbing emergency that safety matters most. That’s why our technicians are highly certified with the latest tools and training to solve your plumbing problem, and keep your family, home or business safe. Fun fact: the temperatures in the Santa Fe area can vary wildly from 17° to 85°, with record highs over 100° and record lows well under -10° possible. That’s why at James’ Plumbing & Heating, we make sure your that your home or business is comfortable no matter what the weather brings. We’re Santa Fe’s highest rated air conditioning & heating contractor. At James’ Plumbing & Heating, our licensed plumbing techs have the skills and experience to help you construct or remodel a kitchen or bathroom of your dreams. From heated flooring to infinite hot water, we’ve got you covered. If you have a sewer gas smell or notice soggy parts in your yard, give James’ Plumbing & Heating a call. We can make sure that your property is safe from unnecessary damage and health risks with a fast response time. Our sewer repair services are second to none. Water heaters have an expected life span of about ten years. 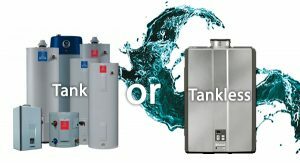 But with a tankless water heater from James’ Plumbing & Heating, you can have unlimited hot water and lower energy costs for up to 20 years! An evaporative cooler is a device that cools air through the evaporation of water, and the Santa Fe climate makes these perfect additions to any home. Ask us to learn more. Keep your home or business running at peak performance all year long with maintenance agreements from James’ Plumbing & Heating. From full-on Santa Fe HVAC systems with furnaces and AC units, to energy efficient ductless mini split systems, James’ Plumbing & Heating has the knowledge and skills to keep your home comfortable. Have a heating, cooling, or plumbing emergency? Call now. What are your reviews like? At James' Plumbing & Heating, we have some of the best customer reviews in the Santa Fe area. Click here to read them for yourself! Yes! We know that heating, cooling, or plumbing issues rarely pop up during business hours. That's why we're here for you 24 hours a day. Are you bonded and insured! Of course we are! Unlike some fly-by-night outfits that you'll find on social media, we've got the best insurance you can ask for. For your protection, and for ours. If you're between Santa Fe, Los Alamos, or Española- we can probably help you out. If you're not sure, give us a call! I have a unique challenge...? We've been in business for over 30 years... there's probably not something we haven't seen. But, if you're curious, give us a call! I get that you're good, but can I afford you? Look, we don't toot our own horn. (Our customers do that plenty... just check out these reviews.) And here's the deal: we think you should have quality plumbing, heating, or cooling service done without taking a 2nd mortgage. At James' Plumbing & Heating, we want to give you the absolute best service possible without breaking the bank. For over 30 years, we‘ve been trusted as the most reliable Santa Fe plumbing & HVAC company. Our Google reviews speak for themselves. Plumbing & HVAC emergencies don‘t wait for you, so don‘t wait for them! Call us now! There’s not really anything to say here. You expect us to be ready for business, and we are. Our pricing is offered up front, and you’ll know how much our services charge before we begin any work. My older forced air furnace quit late Thursday afternoon. James got the parts replaced and had it up and running in a couple of hours. Saved me having to choose between repairing frozen pipes and a huge electric bill. James Plumbing fixed my boiler quickly and efficiently. James is experienced and trustworthy ~ thank you! Called for a broken furnace. Squeezed us into their schedule and arrived quickly. Friendly service. Found the faulty part, replaced it and made recommendations to replace another part before it failed. Definitely recommend. Knowledgeable , friendly and fairly priced. One stop plumbing / heating / cooling. Friendly, knowledgeable, great service! I highly recommend them! Came quickly when water heater conked out. Installed tankless unit. Back today to convert two fireplaces to natural gas very happy with results and will have him back in a few weeks during master bath update. Great company they are honest, fast and very reliable. James came out promptly Wednesday evening after I came home from a trip and discovered I had no hot water. Very much appreciated! 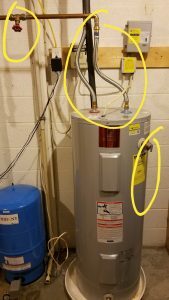 Questions About Your Plumbing / HVAC Problem? We’d love to help with whatever problem you’re having. Fill out the form below, and we’ll be in touch fast. How to Hire a Plumber on Craigslist or Facebook Marketplace Spoiler Alert: Don’t. Don’t do that. We know you want to be a responsible homeowner who takes good care of your investment. 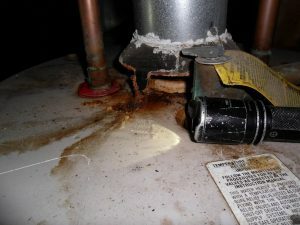 DIY Water Heater Installs: What Could Possibly Go Wrong?